5 Bedrooms and still there's still room for the family to gather! Beautiful eat-in kitchen features granite, stainless appliances, decorative tile floors, backsplash, breakfast bar, control center & STORAGE. 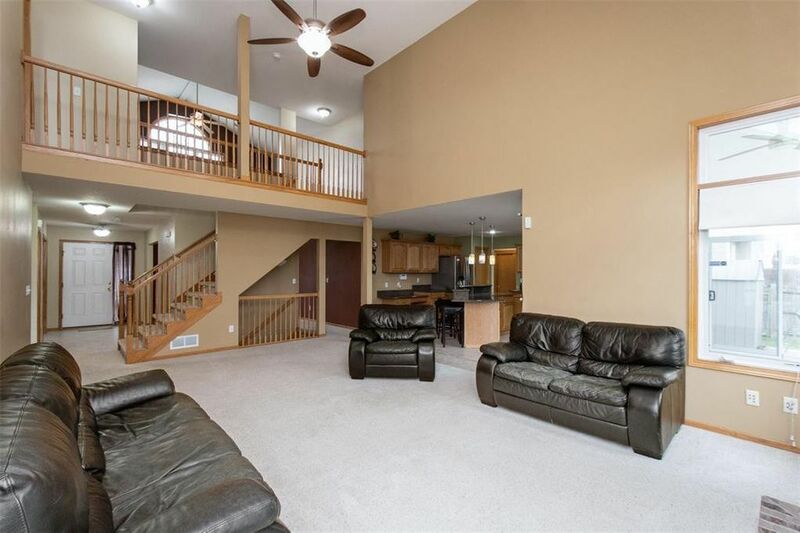 It opens to a formal dining room & vaulted 2-story great room with fireplace. Sliders lead to a huge 4 Seasons room with heat/AC that opens to the fenced back yard. French doors off the foyer lead to a private office. The main floor master offers a huge bathroom with spa tub, dual sinks & huge walk-in. A spacious laundry room & powder room round out the main floor.Upstairs find a bonus loft overlooking the great room, perfect for a play/gaming room that could be finished for a 6th bedroom. It is flanked on one side by 2 bedrooms & a bathroom with dual sinks & another bedroom.Basement has a rec room with dry bar, billiards room, complete theatre room & another bedroom/bath & storage too! Heated garage, too!